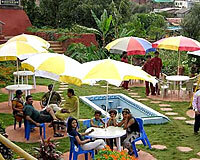 Suman Raj Resort is located close to the magnificent Venna Lake. Encircled with soothing and verdant greenery, Suman Raj Resort is a pleasant resort with classy amenities, and offers panoramic vista of mystic hills and valleys. 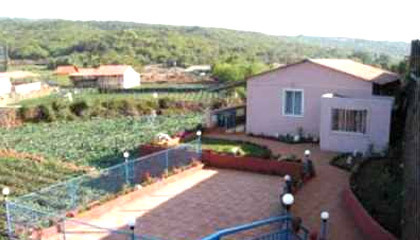 Comprised of an elegant structure, the resort enjoys the close proximity of the dazzling Veena Lake. The resort forwards well-appointed designer rooms with balconies, offering a relaxed stay to its guests along with all modern amenities. Besides sumptuous rooms, the resort has swimming pool, fountain, water-fall, beautifully landscaped garden and sun decks and many recreational facilities to make each stay completely enjoyable. Restaurant of the hotel serves delicious vegetarian food. 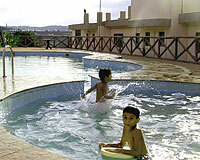 To sum up, Suman Raj Resort is an ideal place to stay for all kinds of visitors. 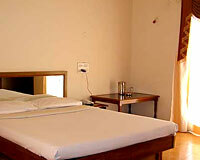 The resort is comprised of well-appointed rooms, categorized into Attic Room, Premier Room and Palash Cottage. 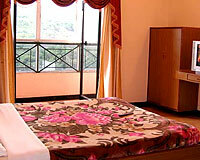 Each room affords a splendid atmosphere and provides conveniences for a comfortable stay. 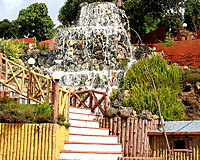 Suman Raj Resort has a pure veg restaurant offering variety of flavorsome dishes.